Creating a comprehensive estate plan is one of the most valuable gifts you can give to yourself and to your loved ones. Taking the time to create your estate planning documents is obviously the most important first step in creating that estate plan; however, deciding what to do with those documents once they are finished is also an important decision. The estate planning attorneys at Morris Hall PLLC explain what you should do with your estate plan documents to keep them safe and make sure they are accessible when needed. Most of your estate planning documents are legal documents that may be needed during your lifetime in the event of your incapacity and/or at the time of your death. People frequently make the mistake of simply filing their estate planning documents away once they are completed or they lock them up in a safety deposit box. Neither of these is ideal. While it may be fine to file some of your estate planning documents away if the file is clearly labeled and easily located, other documents should be shared with specific people. Locking all your documents in a safety deposit box creates a catch-22 situation. For example, if your Last Will and Testament is in a safety deposit box at the time of your death, the only person who will have the legal authority to access the box is the Executor of your estate; however, the only way to determine who you named as your Executor is to access your Will. Hence the conundrum – without an original copy of your Will your Executor cannot prove to the Court that he/she is the Executor. The original copy, however, is inside the safety deposit box your Executor is trying to access. What Documents Should You Share? Certain estate planning documents are best shared with specific people. 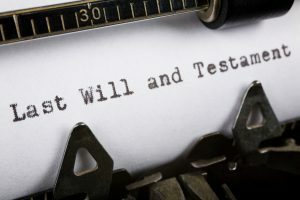 Acopy of your Will, for example, should be given to the person you named as Executor of your estate and anyone named as an alternate Executor. You should also give your estate planning attorney a copy. You may also choose to share copies with loved ones; however, that it up to you. Likewise, if you have included a trust agreement in your estate plan, an original copy of that agreement should be shared with the Trustee, any successor Trustees named in the trust agreement, and your estate planning attorney should retain a copy. If you executed an advance directive, the individual named as your Agent should have a copy and you should also register the advance directive with your state of residency if your state offers that option. Also, make sure your primary physician has a copy. An Agent named in a power of attorney will need that document in order to utilize the authority granted therein. What Should You Do with Your Copies? Although keeping your own copies in your safety deposit box isn’t the best idea, you may want to keep them in a fireproof safe at your home as long as someone else has a key or knows the combination. Regardless of where you keep them at your home, it is always best to keep them all together and clearly identifiable. Remember, when the time comes that many of those documents are needed, your loved ones will be grieving and not thinking clearly. Having to hunt all over the house for important estate planning documents when they are already under considerable emotional stress could lead to missing important pieces of your estate plan. That, in turn, could hold up the probate of your estate or could lead to costly mistakes being made. For more information, please join us for an upcoming FREE seminar. If you have additional questions or concerns about creating your comprehensive estate planning documents, or what to do with them once they are completed, contact the experienced estate planning attorneys at Morris Hall PLLC by calling 888-222-1328 to schedule your appointment today.